Hope you find this sitemap for chutney pickle raita recipes useful. Chutneys, pickles and raita make your meal colorful and yummy. 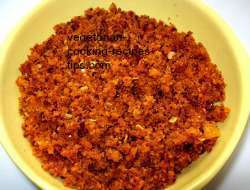 About chutney Recipes - List of Indian wet chutney paste recipes. Tomato chutney recipe - Ripe red tomato chutney. 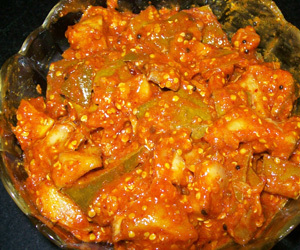 Green Tomato Chutney - Raw, Green tomato chutney recipe. Mango-Chutney Yummy Raw Mango chutney with a few spices. Coconut-Chutney Fresh coconut+ green chilies. Mint-Chutney - Fresh mint chutney. Serve dry chutney powders with chapati, rice, dosa, sprinkle on sandwiches etc. - Also known as awala achaar, nellikai uppinkai, avalyache lonche, nellikkai urgai. 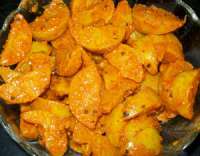 - Raw Sour Mango Pickle Recipe. In India, usually made during the summer months as green mangoes are available at that time. 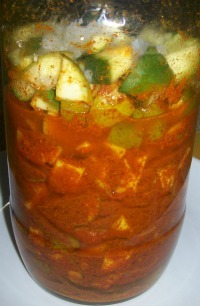 Mixed Spicy Pickle - Spicy Pickle Recipe with green mango, lemons, berries etc. Raita Recipes- About Raita, cool salads with yogurt. Tomato Raita- Cool Tomato + yogurt salad. Serve with rice or roti and curry. Cucumber Raita- Cool Cucumber and yogurt salad served as a side dish. Boondi Raita- Served as a side dish. Spinach Raita - Palak raita, fresh spinach recipe.